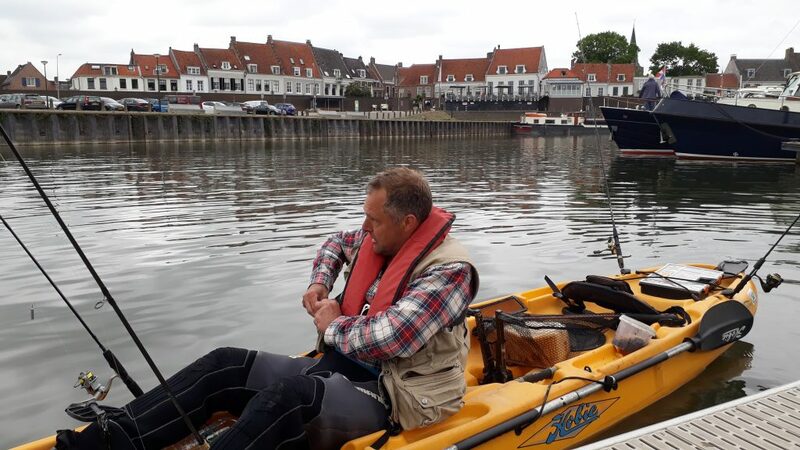 Welcome to the page of Kayakfisher, your fishing guide for a unique fishing trip from a Hobie kayak, in the middle of the Netherlands on the river Rhine or the lake Gooimeer or near Zwolle for example on the river De Veght or …. 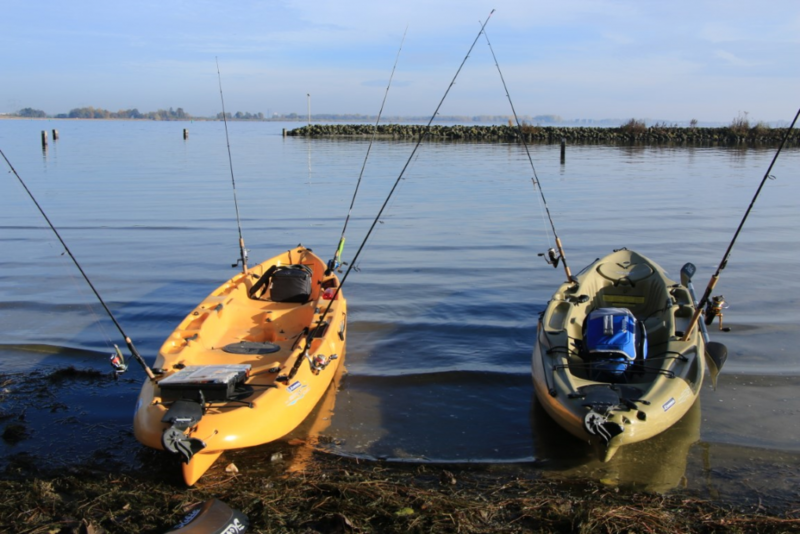 On this page you will read more about the possibilities to fish from out of a Hobie kayak. I have 3 of these kayaks so I can take 3 people. Ready for action on the Gooimeer to fish for perch! 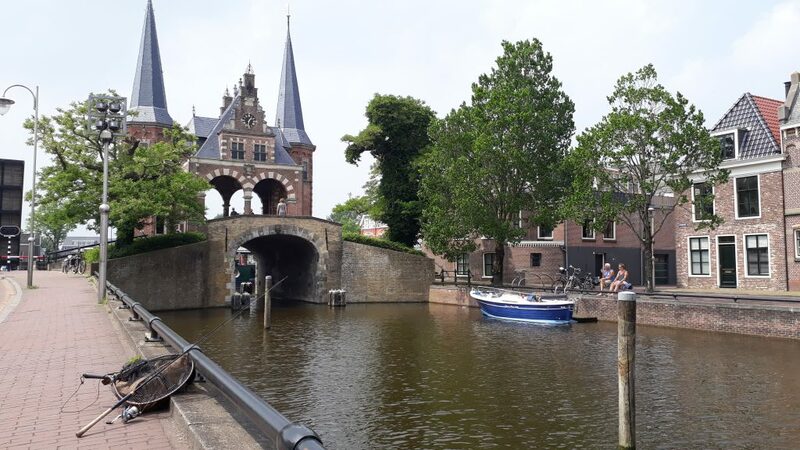 But I offer more; a workshop from the shore fishing for predatory fish and streetfishing in the cities Utrecht, Amersfoort, Meppel, Bolswardand Sneek. Fishing from the kayak is a special experience and is suitable for both the experienced and the beginner. The beginner learns to fish vertically, to fish with the drophot, to fish with the fireball and to fish with the Carolina rig. 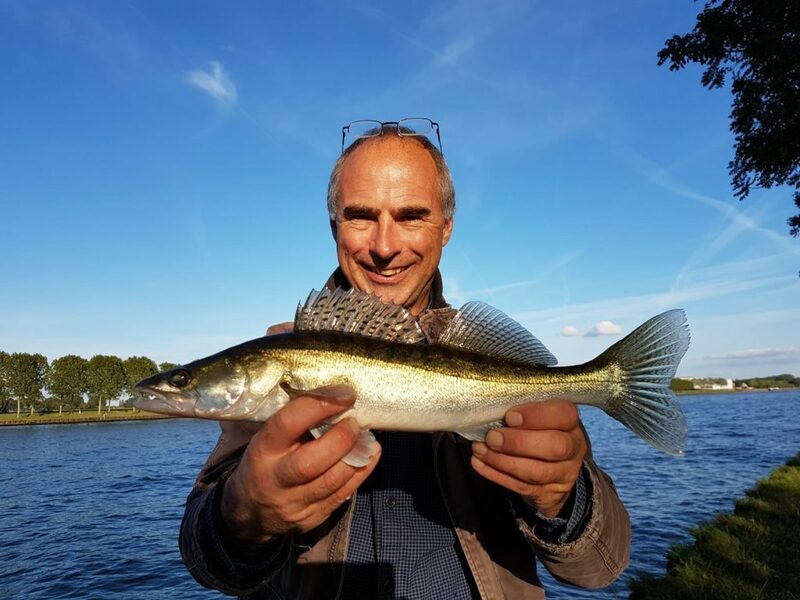 But also experienced predator anglers, who want to concentrate with different techniques specifically on zander, pike or perch, will have a wonderful day while fishing in a kayak. An entire day of fishing from the kayak costs including material 100 € for one person. If you are with two people, you pay € 75 for the second person, for a total of € 175. If you are with 3 people, you pay for the third person 50 € so the total amount is 225 €. All prices are exclusive 9% Btw. A whole day of fishing means that we fish about 7 hours. Half a day of fishing from the kayak (about 4 hours fishing) costs all inclusive materials € 75 per person, excluding 9% btw. The maximum number of persons is 3. Street fishing in a city is already an experience in itself, with all the fun around you. It is also a very nice way to fish; you wallk with light fishinggear from place to place through the city. In addition, catches in number, type and size are often surprising. I offer street fishing in the cities Utrecht, Amersfoort, Meppel, Bolsward and Sneek. The price for one person is 75 euros a day. A 2nd, 3rd, 4th person pays 50 euros. These prices are exclusively 9% btw. The used techniques are vertical fishing, throwing a shad on a lightweight lead cap or plug, and fishing with the Carolina rig. Even for the experienced predator angler the zander is often a fish that is difficult to catch. 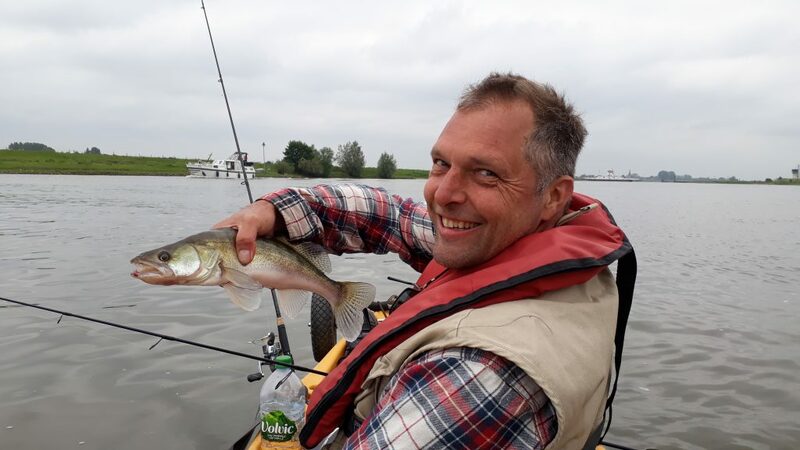 For those who (better) want to learn fishing on zander but do not want to go kayaking, I also give zander fishing workshops from the shore nearby the beautiful city Wijk bij Duurstede. As it is of course also possible to catch a pike or perch from the shore, for example from a quay along a canal or in a harbor. For this I charge € 45 per person, exclusive 9% taxes. During this workshop we will be fishing from 10:00 to 15:00 and you will be familiarized with various techniques, such as vertical fishing, fishing with the drop shot and casting fishing. On request we can also fish with the fireball and the Carolina rig. 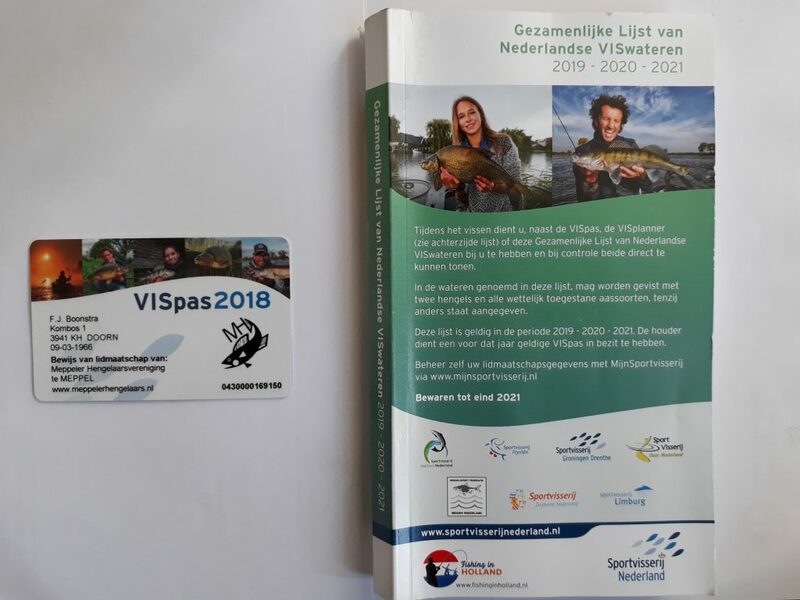 The above prices do not include the cost of petrol required if you would like to fish outside the central region of the Netherlands. When planning an appointment, we discuss these extra costs so you will never be surprised. 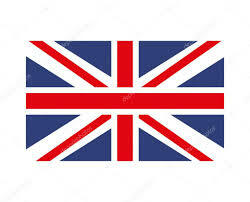 The necessary license, usually a VISpas or day pass, is not included in the mentioned prices. You have to take care of it yourself. Of course, I can tell you what kind of permission you need for a given water and how you can get the permission. Children under 14 years do not require permission if they fish under my guidance.